Wonderful five bedroom home, in the rural countryside of North East Aberdeenshire. Renovated to a very high standard, this home is fully furnished and ready to walk into for your next holiday stay. With magnificent views over the surrounding countryside, and nearly an acre of surrounding lawn, you can enjoy the tranquil settings, but it's still within easy reach of Cruden Bay and many surrounding attractions. There are four championship golf courses, including Trump International Links, nearby to Schoolhill Croft. Slains Castle is very near, and a prominent part of coastal history, being labelled as the inspiration for Bram Stoker's Dracula. Other nearby attractions include Forvie Nature Reserve, Brewdog Brewery Tours, and many local beaches. Access to the property is off the main road (A975) and there is plenty of parking available at the house. There is also public transport right outside, with the Buchan Express bus link between Peterhead and Aberdeen Bus and Train Stations. 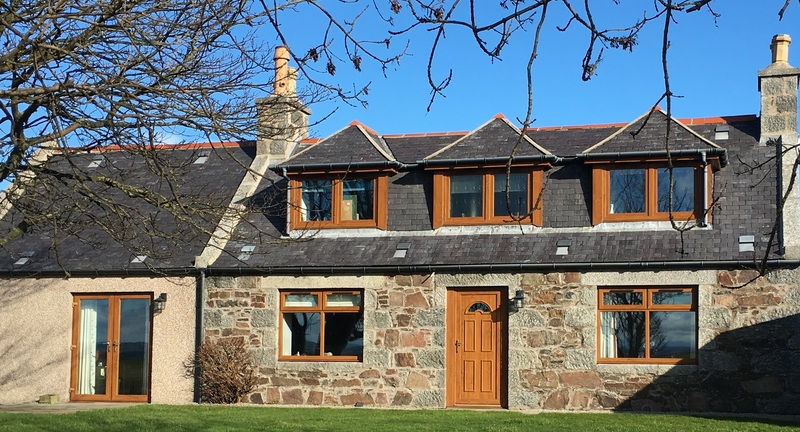 For initial enquiries, please email info@slainsholidayhome.co.uk or fill in the form on our contact page, detailing when you would like to rent this holiday home. Please note the availability calendar will show the following: available dates are shown in green, booked dates are shown in red and changeover dates are displayed in orange. If you have any questions or would like to make a booking, please just get in touch.